This is to inform you that the parent orientation program to discuss the Stream Selection of your ward has been scheduled tomorrow i.e., Friday 5th April 2019 at 10:00 am. You are requested to attend this interactive session. As you are aware that the new Academic Session 2019-20 is going to start from 4th April 2019, but due to DM’s orders, the school will remain closed from 5th April till 12th April 2019 on account of General Elections-2019.The school will reopen on 15th April at its usual timings. This is for your information. This is to inform you that, from now onwards the school will be open and working on every Saturday for classes XI and XII till the end of this academic session. Kindly be informed and ensure 100 % attendance of your wards. Buses will ply accordingly. Please be informed. 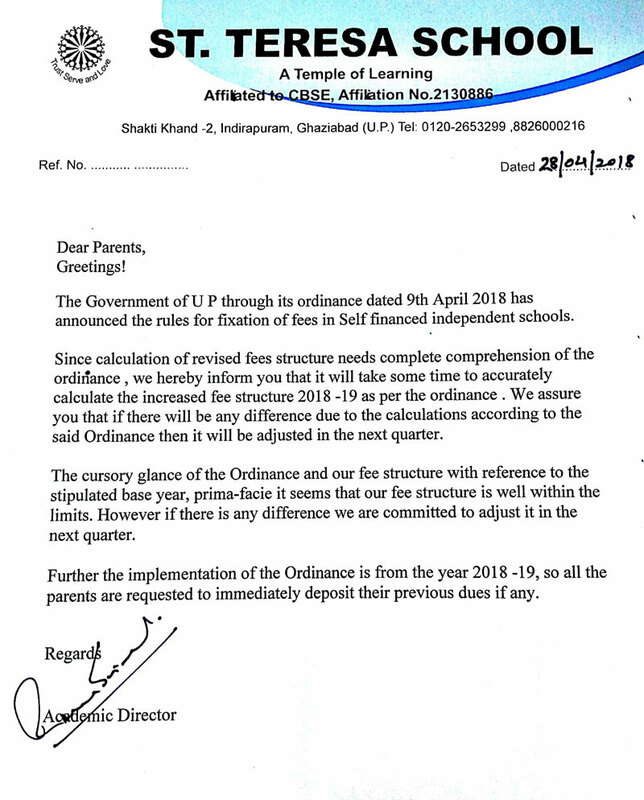 This is with reference to the directives received from DIOS Ghaziabad, and the U.P Government regarding the MR (Measles & Rubella) Vaccination drive for elimination and control of Measles and Rubella. We wish to inform you that A team of Govt medical officers and WHO will be visiting our school on 6th & 7th December 2018 for the same. Kindly be informed. This is regarding CBSE Board registration of your ward for the session 2018-19. You are advised to come tomorrow i.e. 11th Oct between 7:30 am to 9:30 am and verify your ward’s credentials for the registration process to ensure the correctness of the data. This is mandatory for every parent to come and sign the datasheet. PTM of your ward has been scheduled on 6th October 2018 (Saturday). 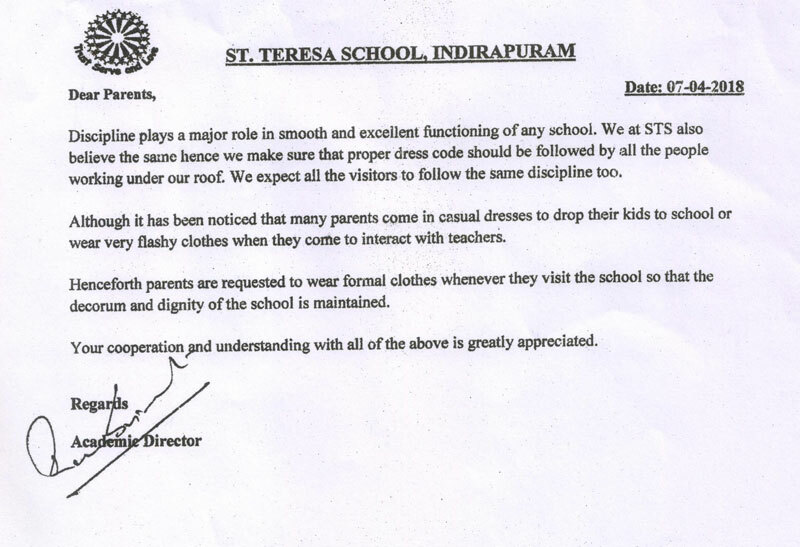 Students are advised to come in proper school uniform along with their School Almana. Please adhere to the time slots given below. As per D.M. 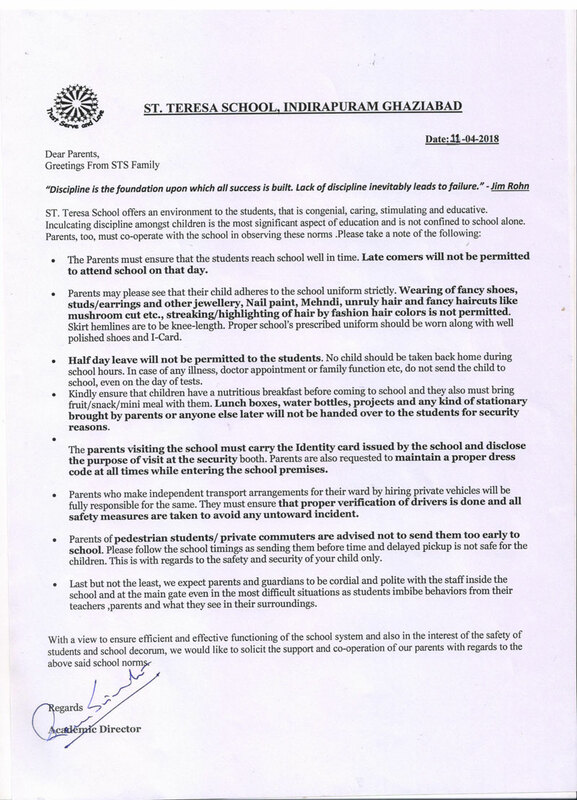 's orders the school will remain closed on account of "The Kanwar Yatra" for all students of classes Nursery to XII, from 6th to 9th August (Monday to Thursday). Friday, 10 August will be a working day. Kindly be informed. 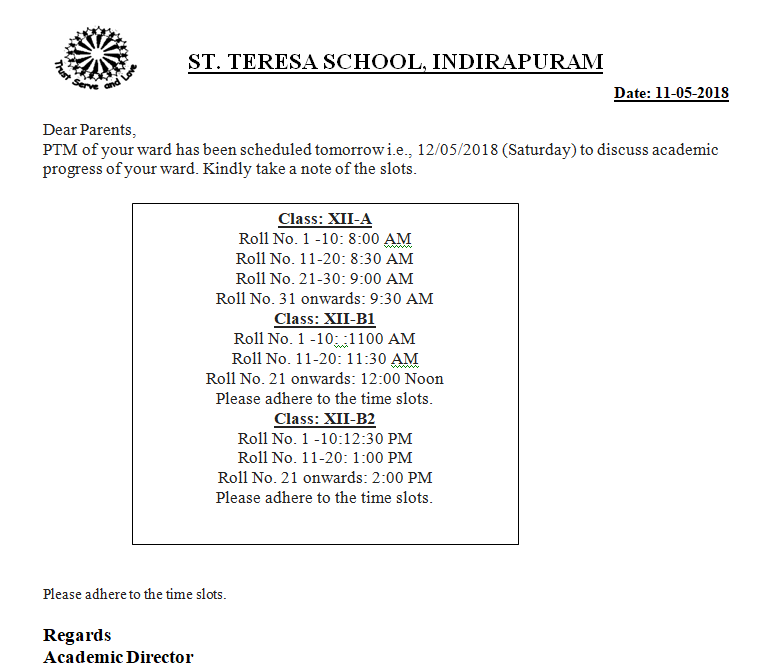 As you are aware that counselling for stream selection of your ward has already completed so now new session of class XI will begin from 23/04/2018 (Monday) at school’s usual timings. Buses will ply accordingly. Please be informed. With reference to the above noted subject, it is informed that - the Hon'ble Prime Minister's interaction with students (Classes VI –XII) will held on 16.02.2018. Questions have been invited from students (Classes IX –XII) across all the States & UTs through MyGov Platform (https://innovate.mygov.in/pm-interaction-with-students/). Willing students can submit their question w.e.f. 06.02.2018 (1000 hrs) to 11.02.2018 (1200 hrs) on this platform and the selected questions will be featured during the programme. 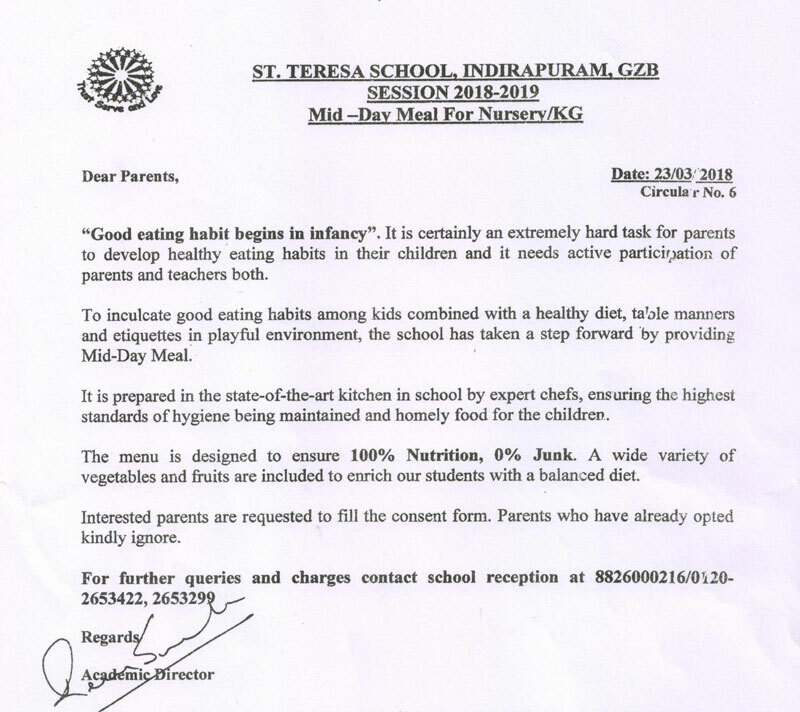 You are therefore requested to inform your children for participation, please. This is to inform you that National Science Olympiad (NSO) which was supposed to be held on 9th Nov 2017 is rescheduled on 23rd Nov 2017. Kindly be informed. As per the DM's order school will remain closed for classes Nursery to 5 STD on Wednesday 8th and Thursday 9th November 2017 due to pollution.